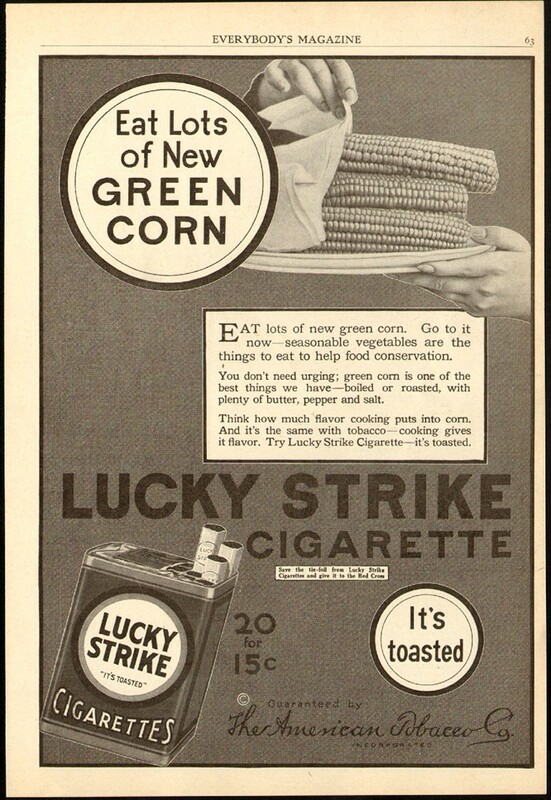 The real point of the whole ad is that Lucky Strike Cigarettes are better because they are cooked, i.e. the tobacco is toasted. Back in the old days cigarettes were made with tobacco and paper and that's it. No BS chemicals and whatnot that they put into the tobacco now. Lucky Strike was always hocking the fact that their tobacco was 100% Burley and it was toasted for fuller flavor. I've gotten hold of 100% toasted burley tobacco and made cigarettes out of it and the taste was far different than we're used to now. Every company has their marketing ploy and it's the fun side of collecting old ads to see how companies differentiate themselves from their competitors. You have a great collection there! I especially love the Waring Blender Cookbook, I'd love to write an article about that cover.